Jim Treis is a 35+ year executive with the demonstrated enterprise vision, customer knowledge, and business acumen, along with advanced technology/new media skills required to succeed in a highly competitive and rapidly changing real estate market. Jim helped propel a family business to national status with world class business to business and business to consumer solutions by surpassing industry leaders in providing flexible, leading edge product solutions and optimal customer service levels. Jim builds committed relationships through his strengths in consulting with customers and delivering solutions on their specific real estate needs. In addition, his background in sales, marketing, and public relations promotes cohesive integration of plans/objectives and his use of active listening and “golden rule” tenets almost guarantees he’ll close deals. Jim and his wife reside in Brookfield, Wisconsin and spends as much time as possible on the water when they are not involved in the kids’ activities. Jim has a depth of experience with the Wisconsin lakes having grown up on most of them sailing E’s, C’s, and m-20’s during the summer. Contact us to learn more about Treis Real Estate today. "After six months of listing with a different broker we changed to Jim Treis and had an accepted offer in just a little over a month.. We do believe that this is because of all the extra effort he put in including being present at every showing. We would recommend him to anyone buying or selling a home." "We were referred to Jim when we expanded our search up into Wisconsin. 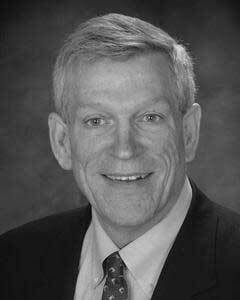 Jim is knowledgeable about the market and facilitated a smooth transaction. He is a pleasure to work with and I recommend him without reservations." "This is the first time we have used Jim, and we will definitely do so again. His knowledge and experience was invaluable, and his demeanor contributed greatly to our successful purchase. We highly recommend him." "Jim did an awesome job from the marketing through the sale!" "Jim did what other realtors could not or would not. He actually sold our house as opposed to listing and letting other agents show it. His dedication to detail and the concerns of his clients is the best I've seen in your industry by far. I've recommended him several times already." "Barbara Hayden Jim Treis is not your ordinary real estate agent. This is someone who goes above and beyond. We are beyond pleased to have been one of his successful clients. Thanks for all you've done, Jim."